A-HOTEL.com - Luxury and cheap accommodation in Ilichevo, Russia. Prices and hotel, apartment booking in Ilichevo and surrounding. This indicative offer was derived from the most recently booked accommodation in Ilichevo and sort by the price, from cheapest Ilichevo accommodation to the most expensive hotels. To select accommodation by your preferences we recommend to choose from 3 accommodation offers in Ilichevo in total. By entering the dates of your overnight stay in Ilichevo and using the filter tools you can sort the best possible accommodation for you. The entered dates of your stay are crucial for the most accurate offer as it derives all the online information on pricing and availability of Ilichevo accommodation. Then you can book the selected Ilichevo lodging (hotels, apartments etc.) immediately. Located in Ilichevo, 48 km from Saint Petersburg, Baza Otdikha Ilichevo features free WiFi access and free private parking. The resort has a barbecue and children's playground, and guests can enjoy a meal at the restaurant. 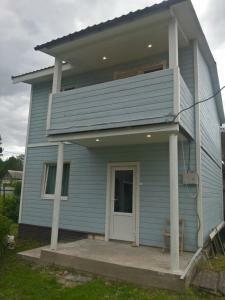 Boasting a sauna, Holiday Home Lebyazhye 2 is set in Ilichevo. This holiday home also features a private pool and free WiFi. House u Chetyrekh Ozer is situated in Ilichevo and offers a garden and a terrace. Housed in a building dating from 2016, the country house is in an area where guests can engage in activities such as skiing and cycling. Offering a barbecue, children's playground and terrace, Greenvald Park Scandinavia is located in Ogon'ki. Saint Petersburg is 50 km from the property. Forest Rhapsody Resort is located on the shores of Lake Bolshoye Simaginskoye, surrounded by a vast pine forest. It offers an indoor swimming pool with a glass roof and a spa centre with massage services. Guest House Le Chalet is set in Reshetnikovo and features a terrace and a shared lounge. A hot tub and a bicycle rental service are available for guests. Baza otdiha Lesnaya Obitel is located in Roshchino. Free WiFi access is available in this country house. Featuring a sauna, Pukhtolova Gora is situated in Reshetnikovo. The country house has access to a restaurant and free WiFi. Roshchino Village provides accommodation with barbecue facilities and free WiFi. All units come with a seating area, a flat-screen TV with satellite channels and a private bathroom with free toiletries and bath. YagaYaga Wellness Club Inn is set in Roshchino. This property offers a spa experience, with its hot tub, sauna and fitness centre. Set in Ogon'ki in the Leningrad region, Gerbera i Orkhideya features a terrace. This apartment features free bikes, barbecue facilities as well as free WiFi. Featuring accommodation with a balcony, Holiday Home on Krasnoarmeyskaya is set in Roshchino. Guests may enjoy free WiFi. Offering a range of outdoor activities including football and volleyball, this resort is surrounded by woods in Roshchino village, 45 km from Saint Petersburg. It features cottages with free Wi-Fi and sauna. Set in a scenic pine forest, this hotel in Roschino offers modern spa facilities, European cuisine, and a 24-hour reception. The Lindulovskaya Roscha Reserve is 5 km away. 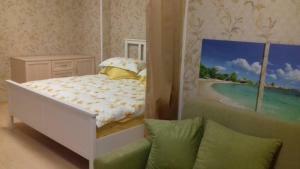 Set in Komarovo, Архитектура здоровья features a tennis court, garden and free WiFi. Featuring a 24-hour front desk, this property also provides guests with a terrace. Dom Tvorchestva Architektor is located in a quiet and picturesque area, 55 km from Saint Petersburg. It features a 24-hour reception, and free parking is provided. Located in Zelenogorsk, Dachi v Zelenogorske offers free private parking all guests. The accommodation includes a TV and a terrace. Boasting a sauna, Sokol Holiday Home is situated in Roshchino. Housed in a building dating from 2016, the country house is in an area where guests can engage in activities such as skiing, fishing and hiking. Situated in Zelenogorsk, G9 Hotel offers a terrace. With free WiFi, this hotel offers a 24-hour front desk and a shared lounge. Located within a 2-minute walk from the Gulf of Finland in Zelenogorsk, Park Hotel offers a terrace and free parking. The rooms feature a seating area, TV and a fridge.